To cater to more clients and expand its market presence, the Philippine National Bank (PNB) relocated the MJ Cuenco Branch to its new home at G/F TGU Tower, Cebu IT Park, Salinas Drive cor. JM del Mar St., Apas, Cebu City. 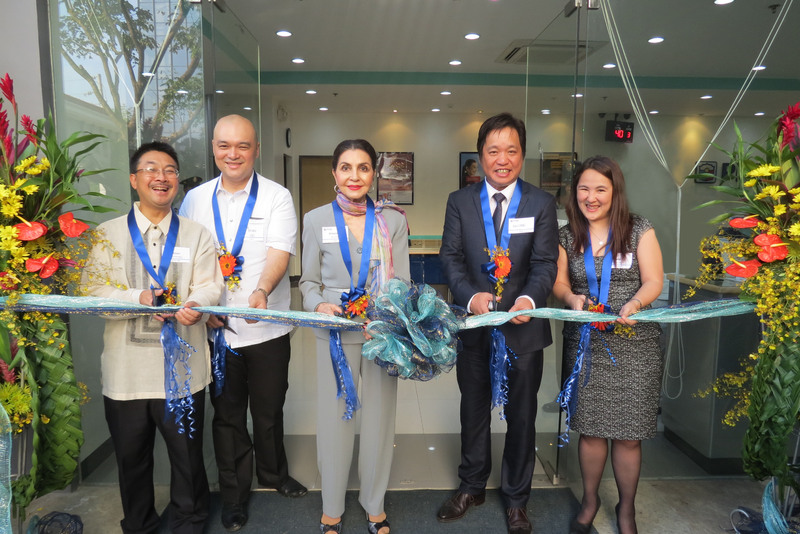 The inauguration was highlighted by the presence of Mr. Ryan Bernard Go, President of Grandland, Inc.; Ms. Amparito Lhuillier, Owner of M. Lhuillier Group of Companies; and Mr. Jojo Ong, President of Innoland Group of Companies. With the recent move, the branch was renamed as PNB Cebu IT Park Branch. Cebu IT Park is an IT economic zone and a modern trading hub which blends together technology with industry. It also serves as the city’s preeminent lifestyle destination which integrates dining, recreation, wellness, and retail outlets that are very accessible to Cebuanos within the community. As Cebu City develops into a well-known commercial hub, PNB complements this economic growth by providing first-class service and innovative banking solutions. PNB continuously expands its branch network throughout the country with 630 branches and 836 ATMs nationwide. With a broader distribution network, the new PNB is now in a stronger position to serve its clients’ interests better.